Classic American silhouettes reimagined for forever, beyond modernity. 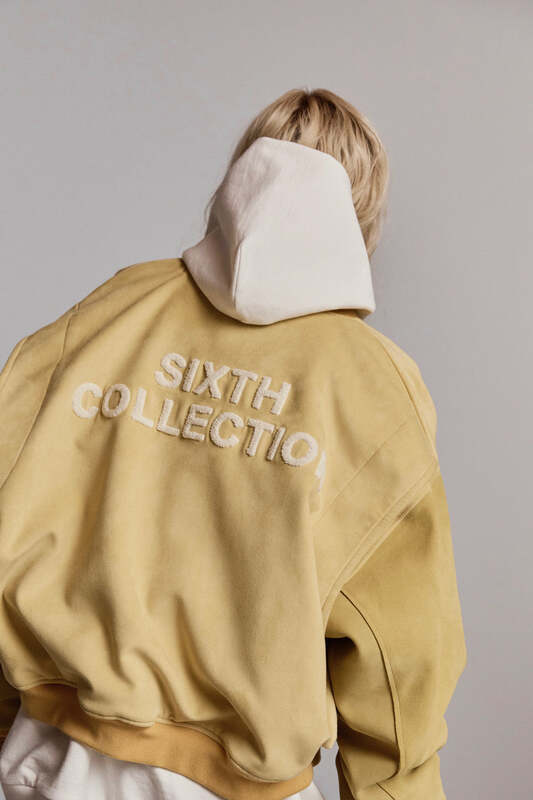 Deconstructing iconic workwear and american vintage pieces and redefining them with modern fits, LUXURY FABRICS AND ELEVATED DETAILS, THE SIXTH COLLECTION REINTERPRETS HARD-WORKING AMERICAN CLASSICS FOR THE NEXT GENERATION. 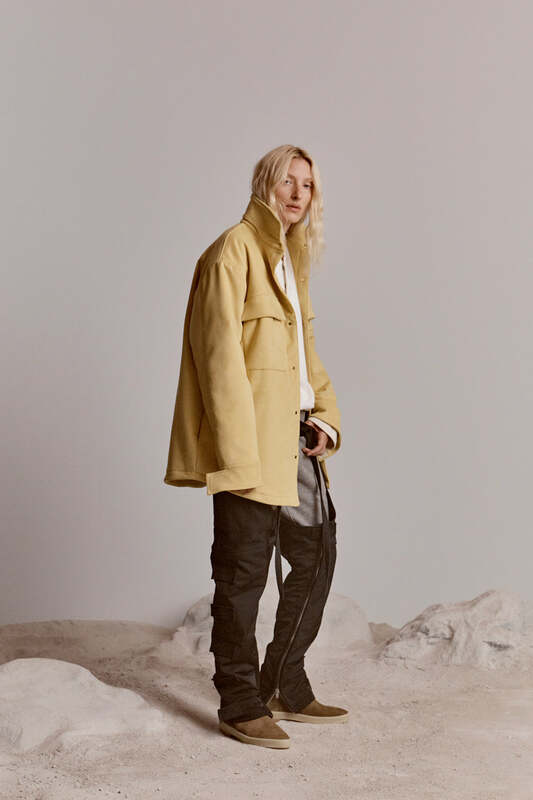 INSPIRED BY THE UNIFORM OF THE RUST BELT, THE OPEN ROAD AND THE RANCH, THIS COLLECTION MARKS A REINVENTION OF BLUE COLLAR STYLE WITH ELEGANTLY LAID BACK PIECES THAT BLUR THE LINES BETWEEN UTILITY, NOSTALGIA, AND HONEST AESTHETICS. 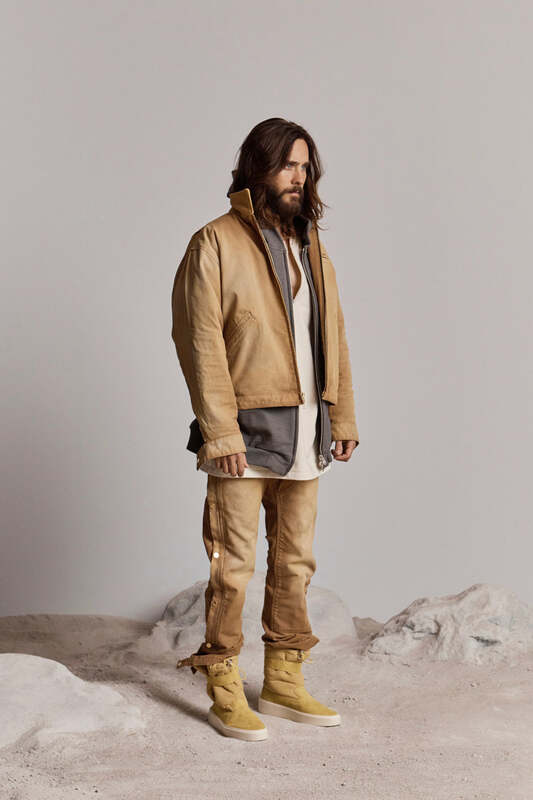 THE COLLECTION ALSO MARKS THE UNVEILING OF THE NEW LOGO, A PAEAN TO FEAR OF GOD'S ICONIC INTERIOR LABEL, AND A SYMBOL OF THE BRAND'S CONTINUING EVOLUTION. 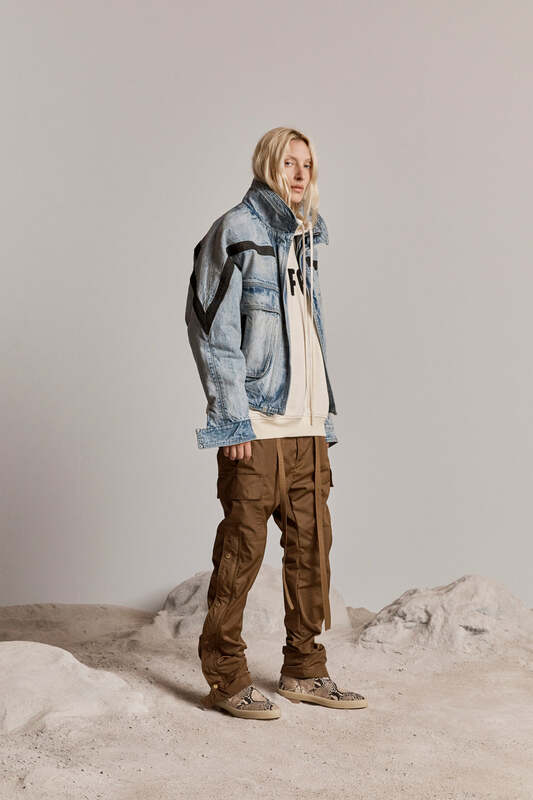 OLD IS NEW AGAIN, FUNCTION IS REIMAGINED THROUGH THE LENS OF FASHION, AND HERITAGE MEETS THE FUTURE IN THE FORM OF REMADE TRUCKER JACKETS, CARGO PANTS, JUMPSUITS, HENLEYS AND SHORTS CRAFTED OUT OF REPURPOSED CANVAS, JAPANESE NYLON AND TWILL, AND ITALIAN SUEDE. FINISHED WITH SIGNATURE STYLIZED STRAPS, TOGGLES, LUXURY LININGS AND FASTENINGS, AND HAND-FINISHED STITCHING, THESE GARMENTS REPRESENT THE MOST COMPLETE ITERATION OF THE LABEL THUS FAR.